'Buy, borrow or beg Keith Waterhouse's outstanding new novel. I can't recommend it too highly. Waterhouse has an uncanny gift for recapturing every attitude, agony and phrase of childhood and youth.' - "Daily Mirror"
'I wished I'd written Keith Waterhouse's first novel; and now, even more, I wish I'd written his second . . . "Billy Liar" is very funny: funny in a wild and sardonic and high-spirited way without malice or cruelty.' - John Braine, author of "Room at the Top"
'A brilliant novel, in language fresh and sweet, with characters vivid and singular in an inventive and dynamic story. It teems, it bursts with originality.' - "Saturday Review"
'Extremely funny . . . its lambent humour, quick-changing from robust to the delicate, is always fresh . . . should gladden the hearts of even the most exacting readers.' - "Daily Telegraph"
Billy Fisher feels trapped by his working-class parents, his unfulfilling job as an undertaker's clerk, and his life in a dull, provincial town. His only refuge is in his daydreams, where he is the leader of the country of Ambrosia. Unfortunately, Billy's wild imagination leads him to tell lies constantly: to his parents, his employer, and his three girlfriends. On one tragi-comic Saturday, as Billy plots his escape to a life of adventure and excitement in London, all his lies finally catch up with him, with hilarious and disastrous results. 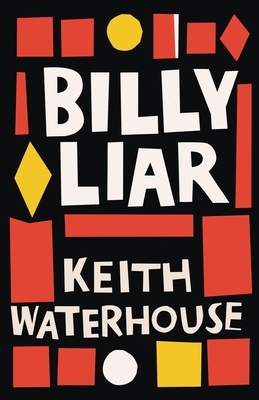 A smash bestseller and one of the great comic novels of the 20th century, "Billy Liar" (1959) inspired an award-winning film, a play, a musical, a television series, and a sequel. This edition marks the novel's first publication in America in more than fifty years and includes a new introduction by Nick Bentley and a reproduction of the original jacket art by William Belcher.